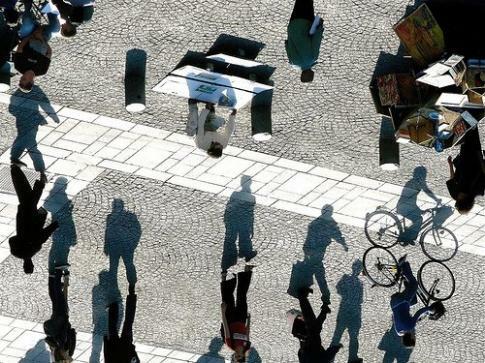 This one is quite confusing, what part of this picture consists of shadows and which of solid figures ? If you aren't sure, try looking at it upside-down. the solid figures are from the down! Dude this picture is joined by two pics. Yeah the real imagine is upside down Good pic !! !